Inspired by repairing and restoring the finest rare double basses in the world, first-hand study and detailed observation of fine and historic instruments inform a classically-inspired, yet thoroughly innovative process. 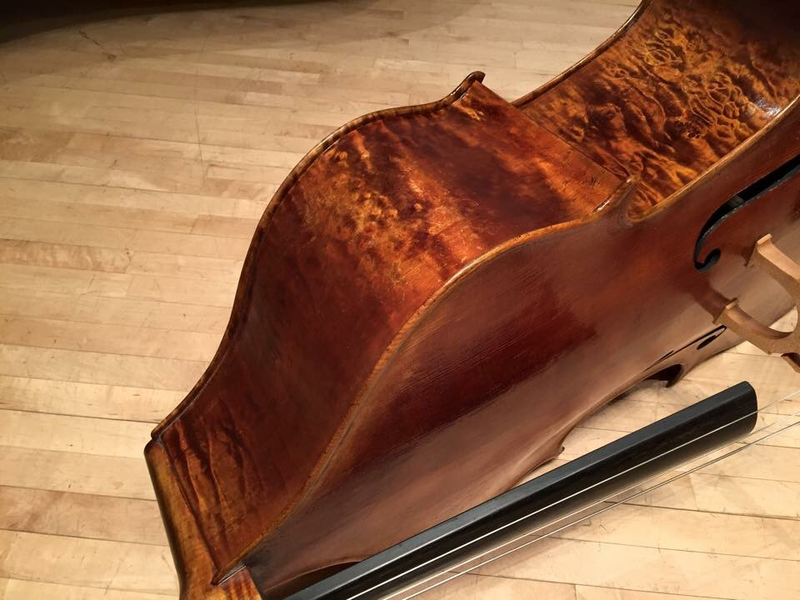 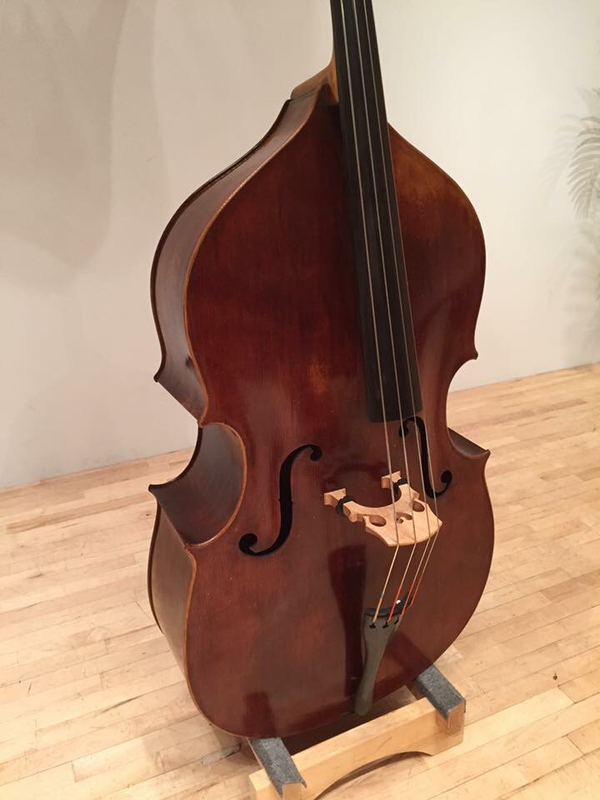 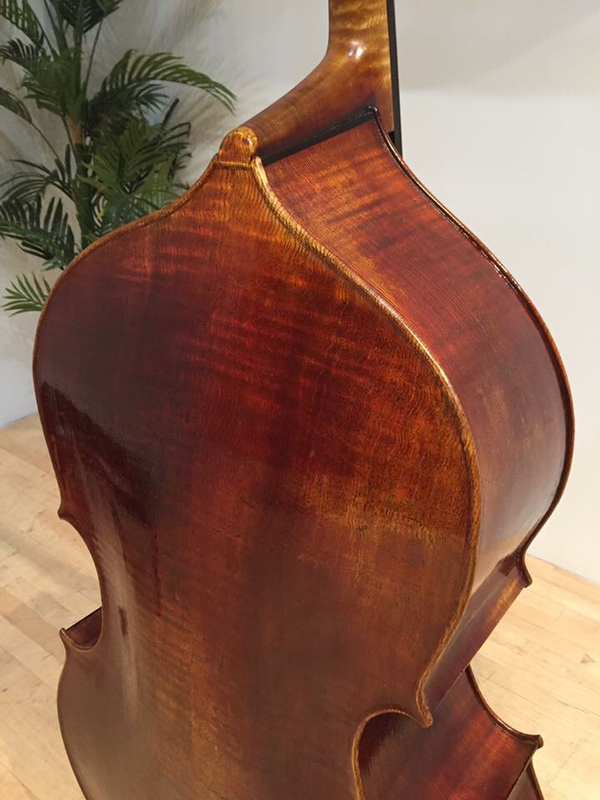 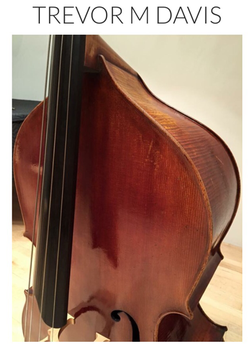 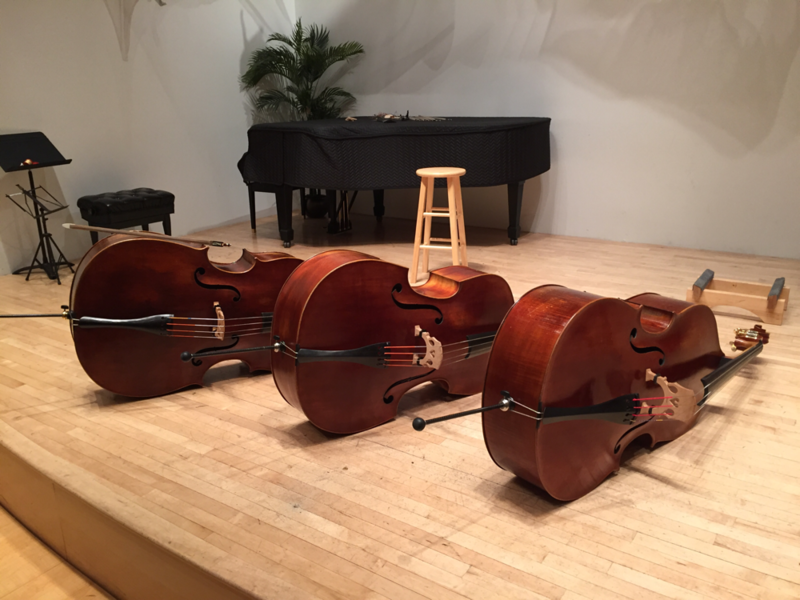 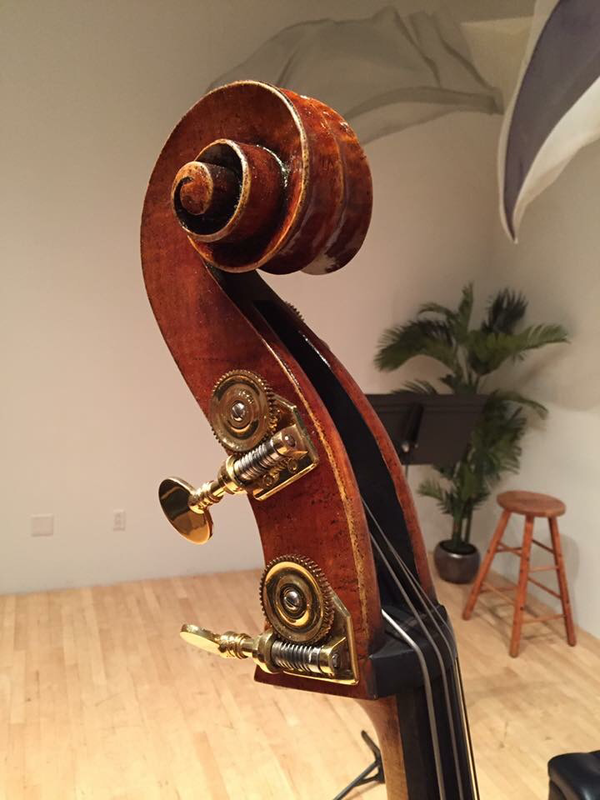 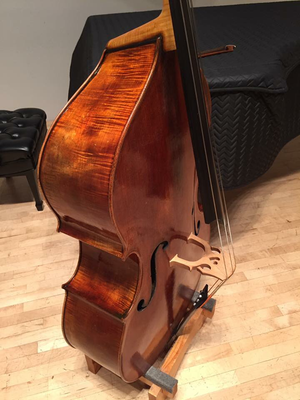 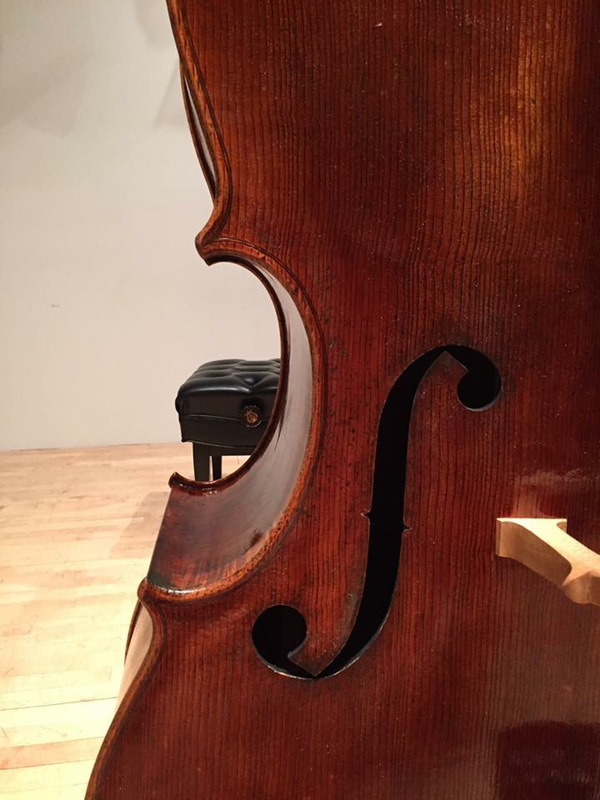 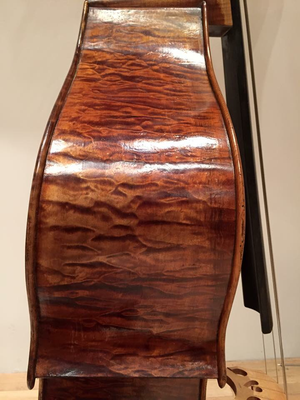 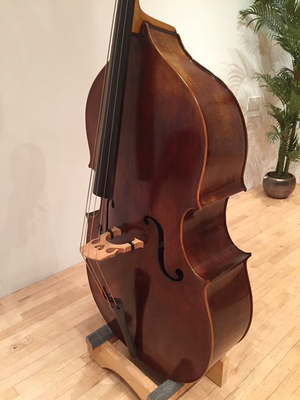 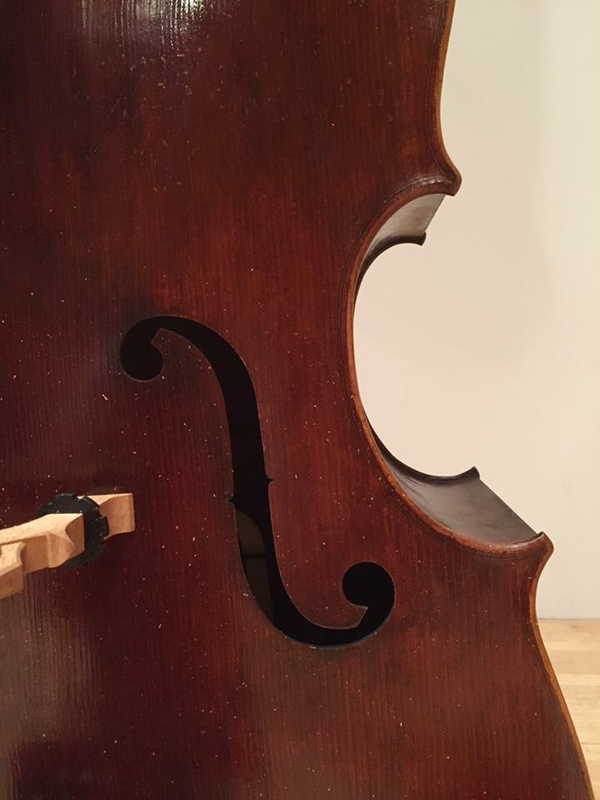 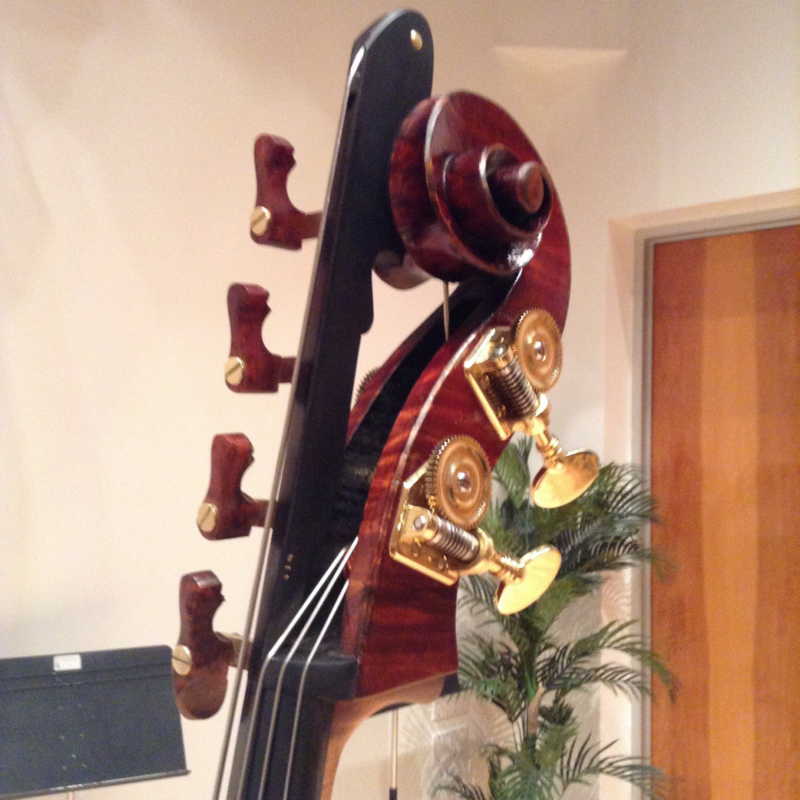 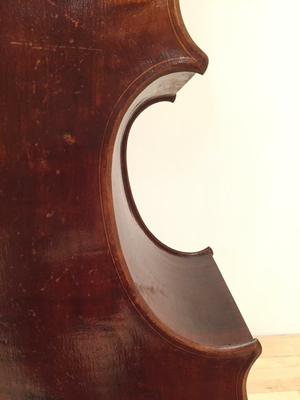 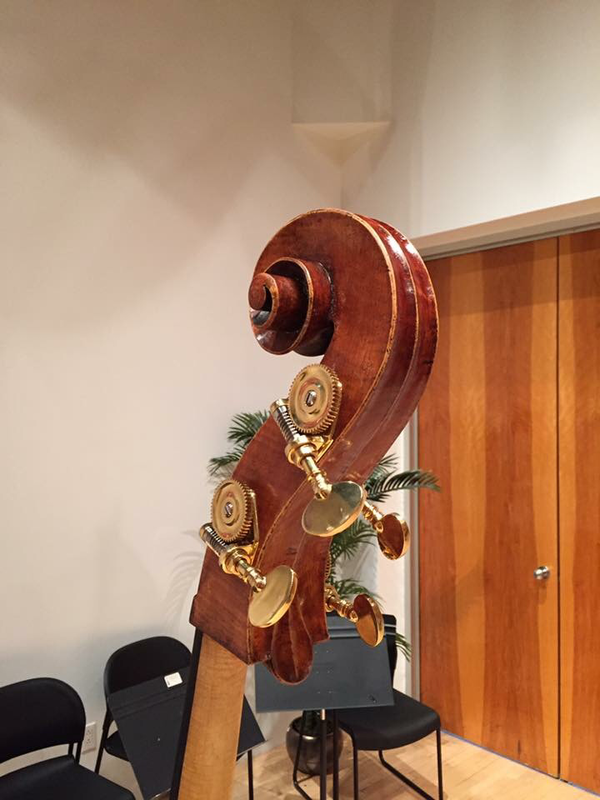 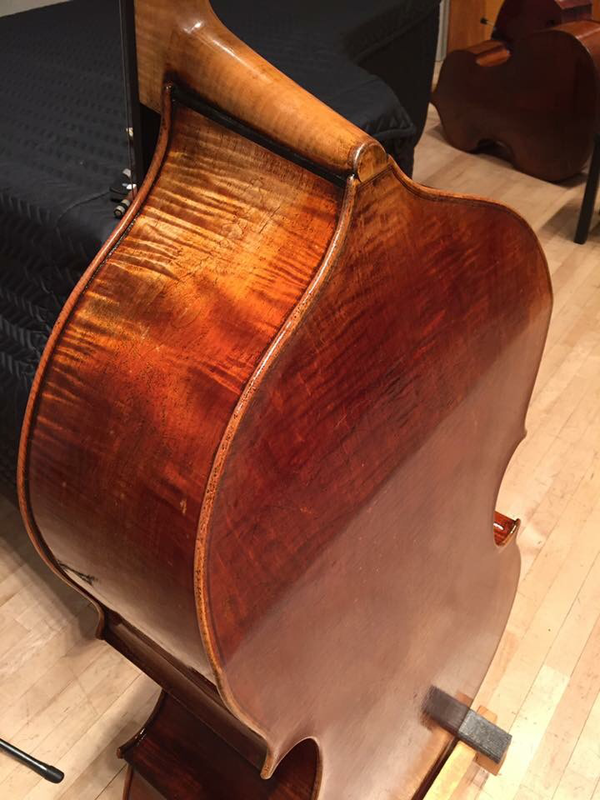 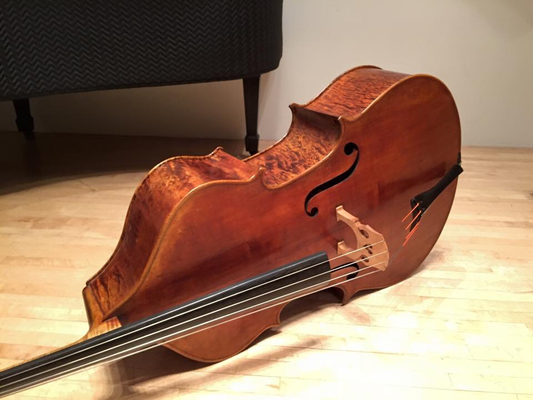 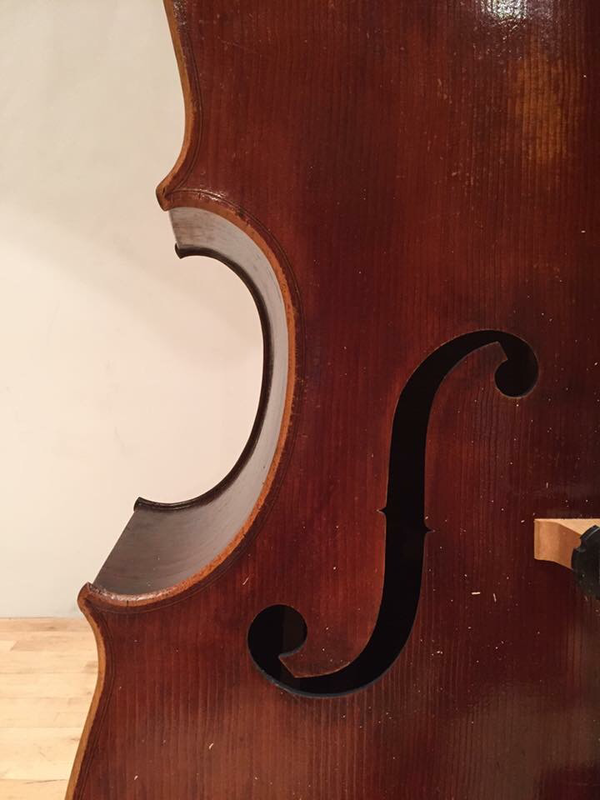 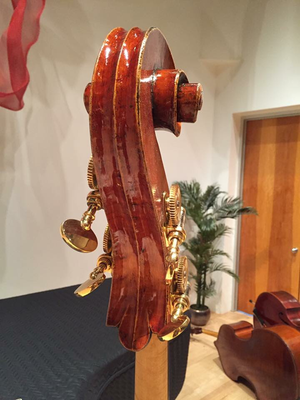 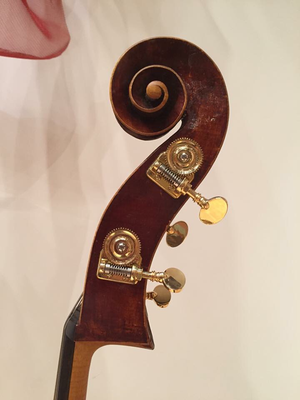 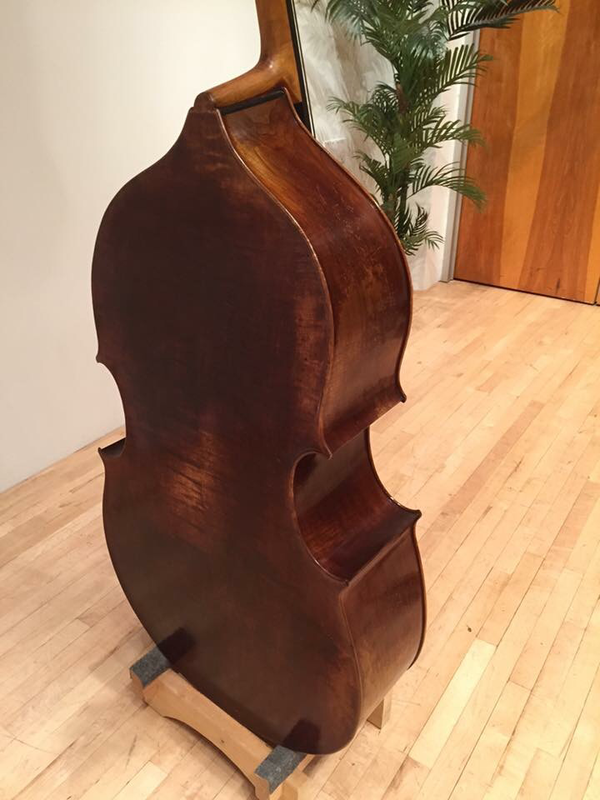 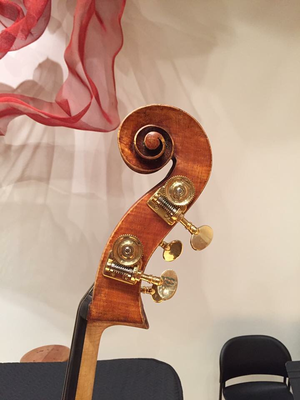 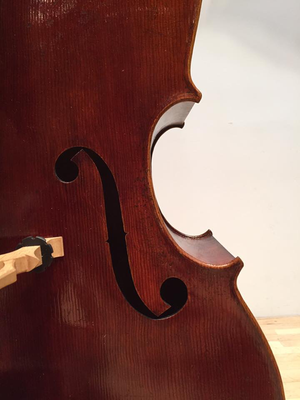 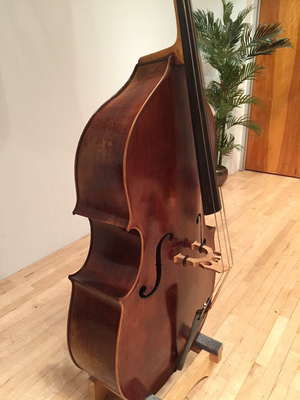 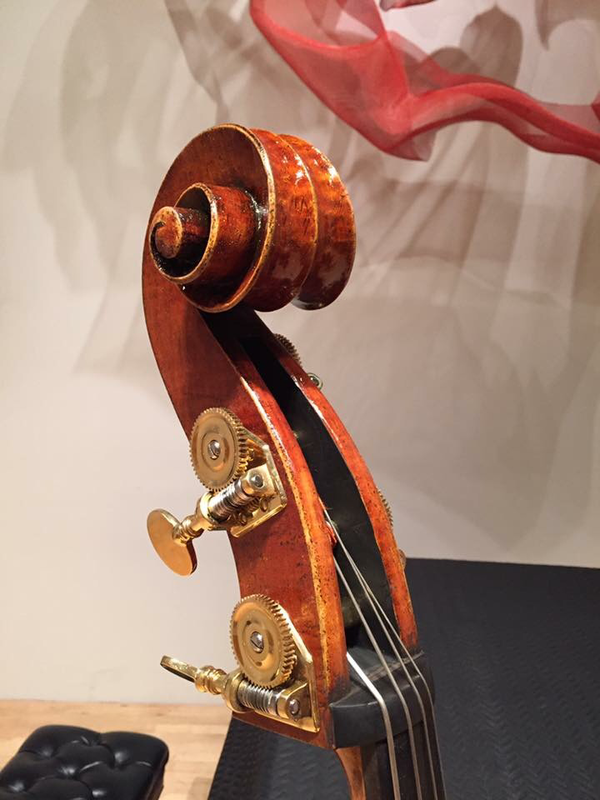 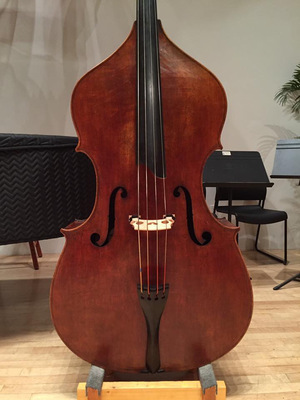 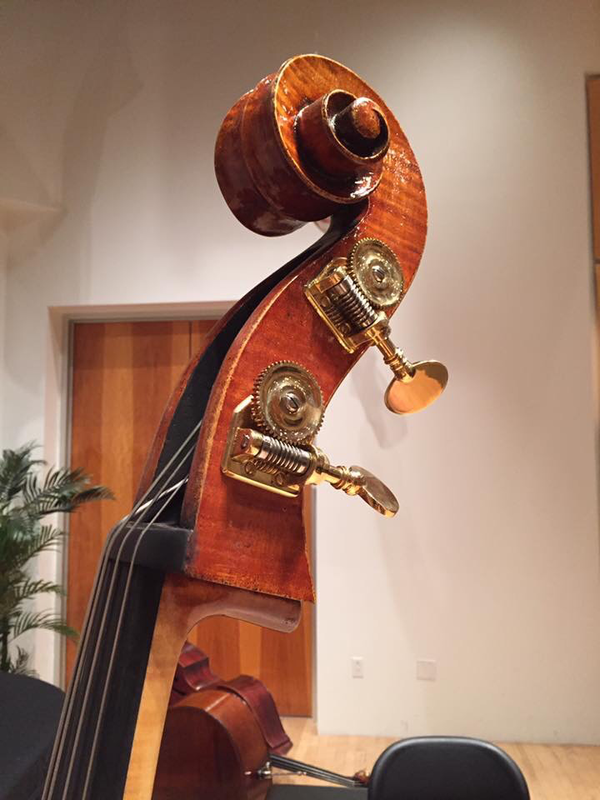 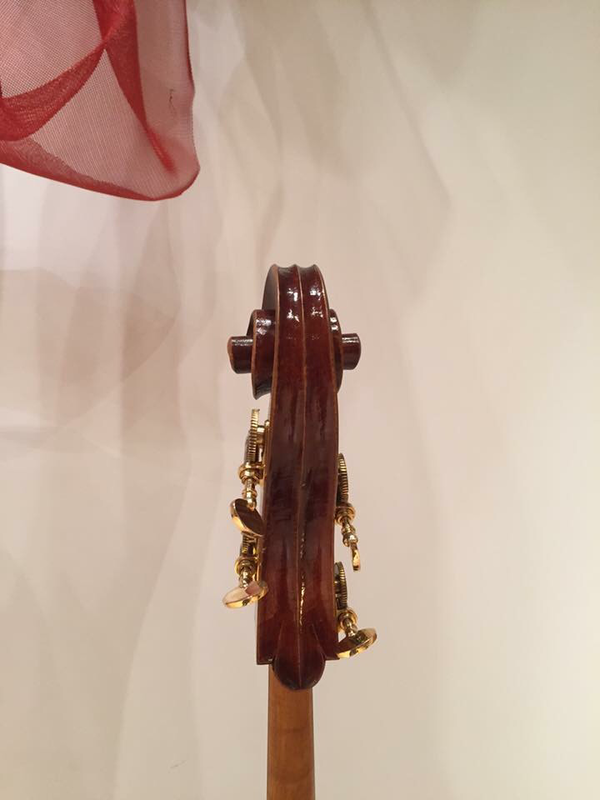 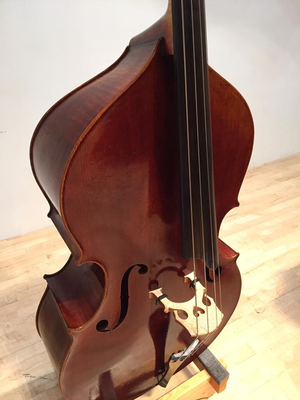 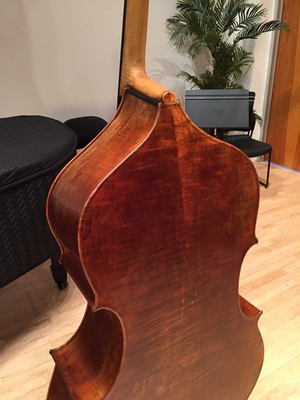 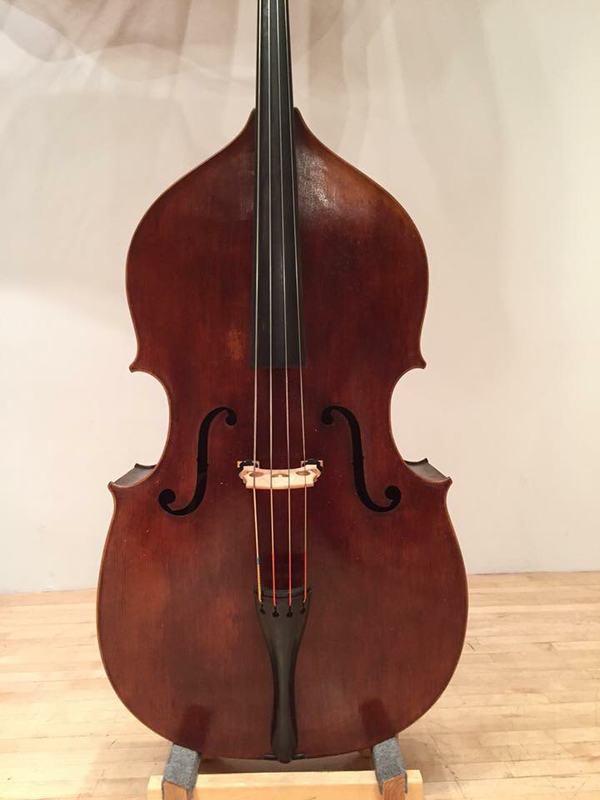 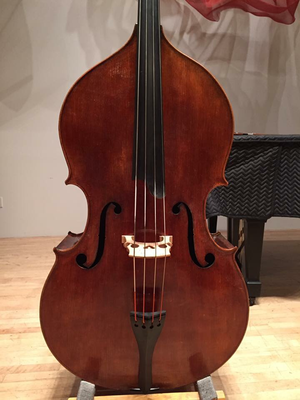 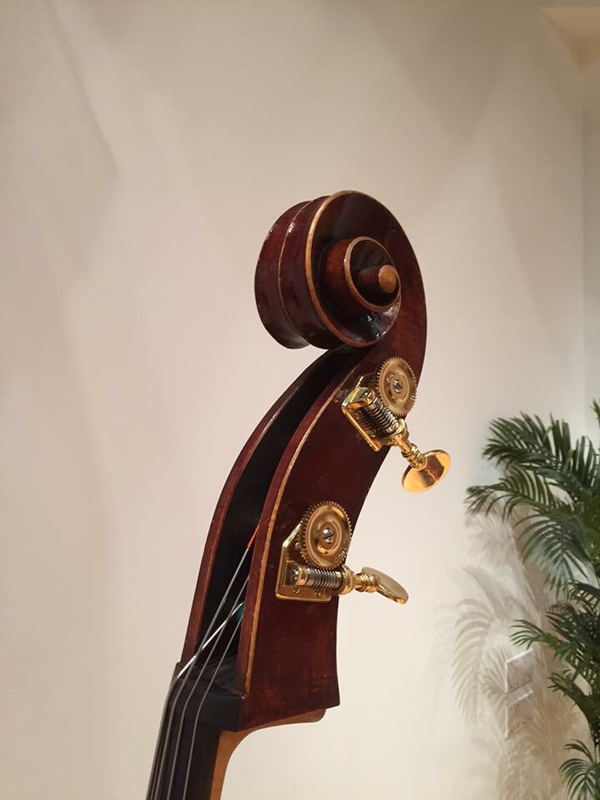 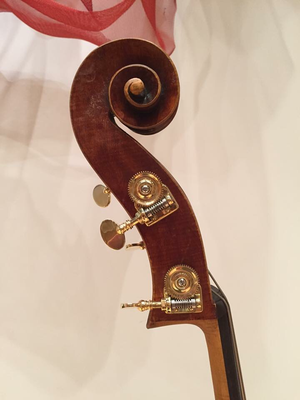 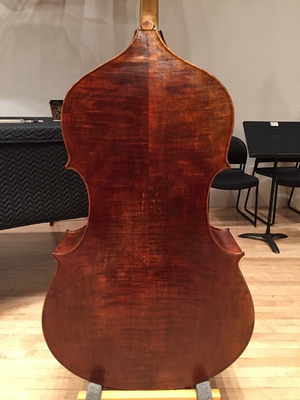 Modeled after the most pure example of Giovanni Batista Ceruti--possibly the only existing example of a Cremonese double bass with a clear and direct lineage to the masters. 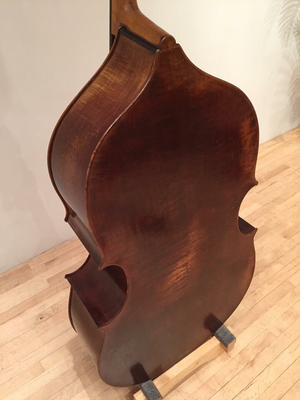 Not a bench copy per se, the original was measured, traced, photographed and studied first-hand over the better part of a month, and much time was spent rethinking the modeling so as to preserve the rich throaty voice while adjusting dimensions to accommodate contemporary virtuosic playing. 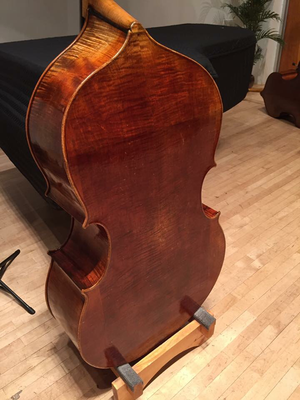 The result is a modern bass that preserves a rich, colorful core supported by an enveloping fundamental, and dressed up in a classic Cremonese style characterized by curvy, circular geometric balance and a supple, deep ruddy varnish. 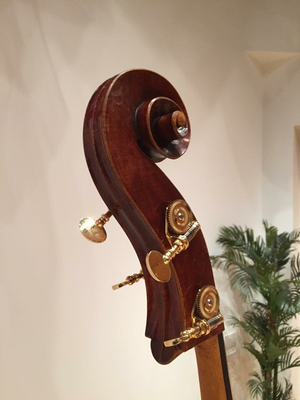 This model received a Gold Medal at the International Society of Bassists (2015), ISB Convention Favorite Honorable Mentions (2015 and 2017), as well as a Certificates of Merit for tone and workmanship from the Violin Society of America (2016 and 2018). 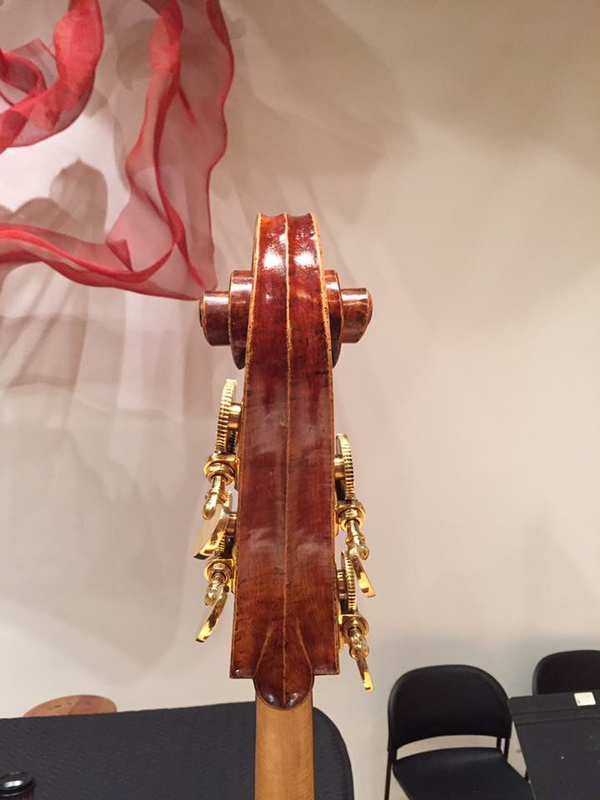 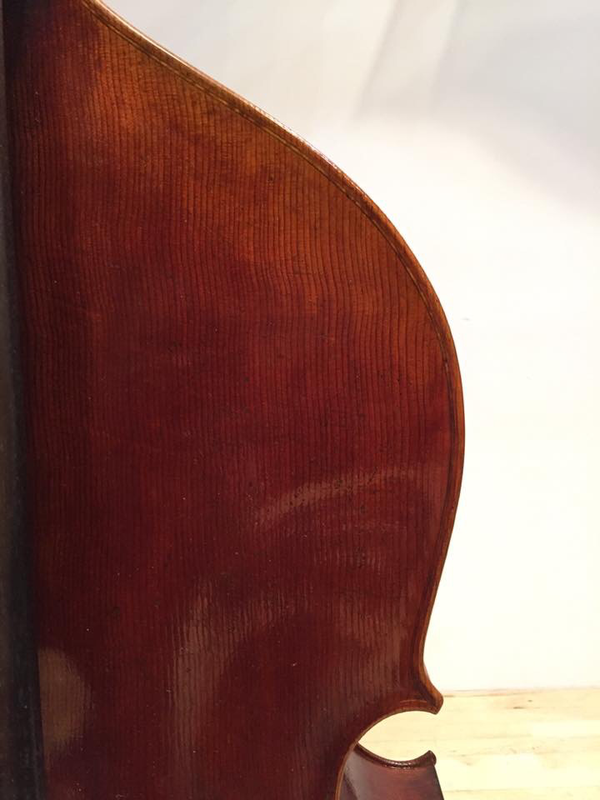 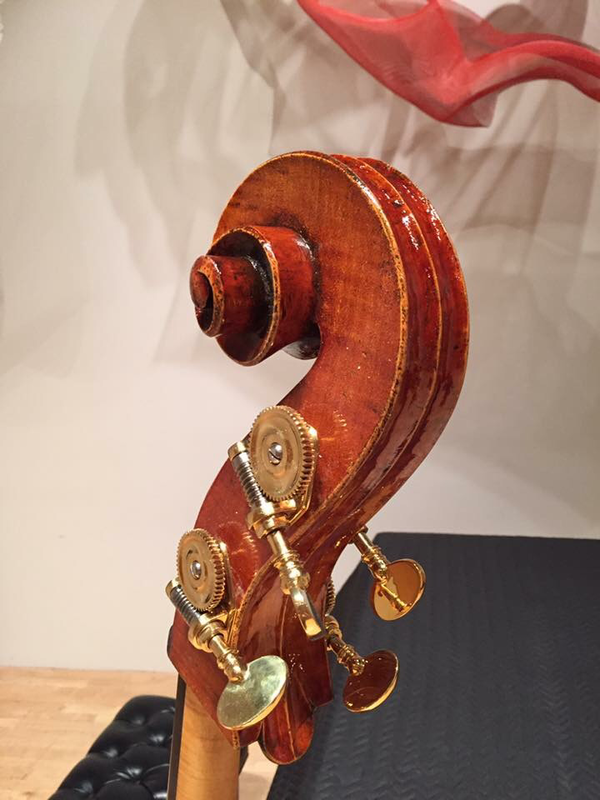 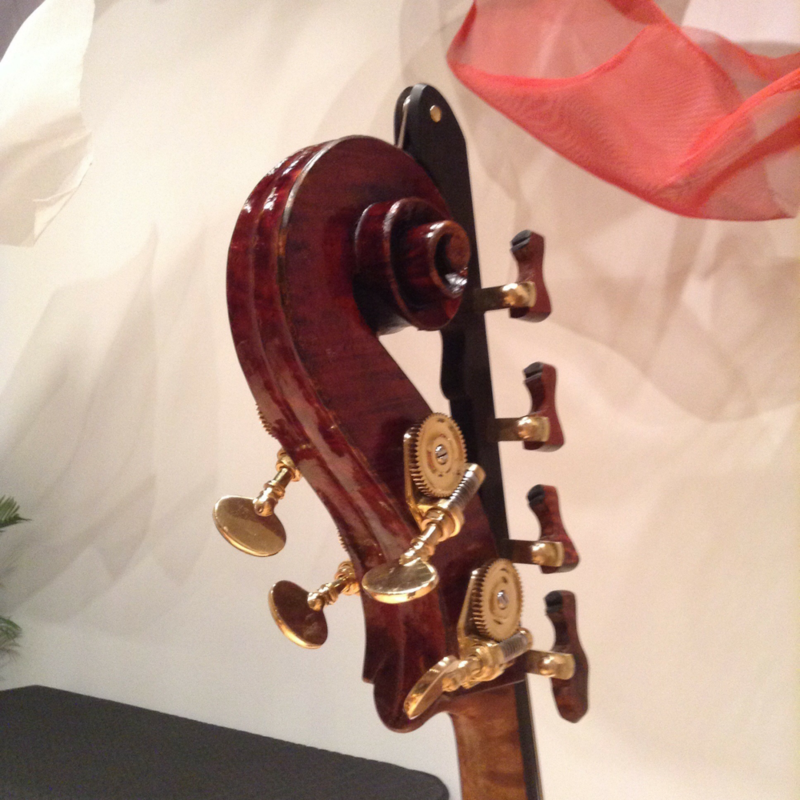 Modeled after a fine bass built by Florentine brothers Lorenzo and Tomaso Carcassi. 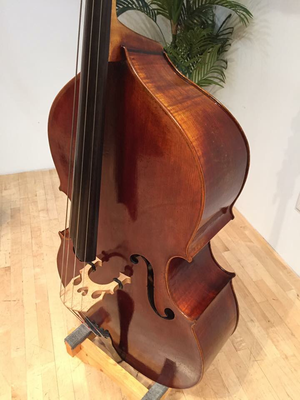 Although after a small bass, it has been enlarged to proper 3/4 dimensions with comfort, playibility and power taking center stage. 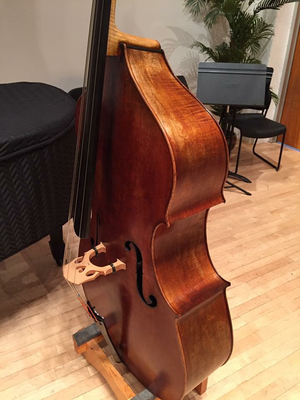 Designed to project in recitals, fill a section and win an audition, it has the versatility to last you your entire career. 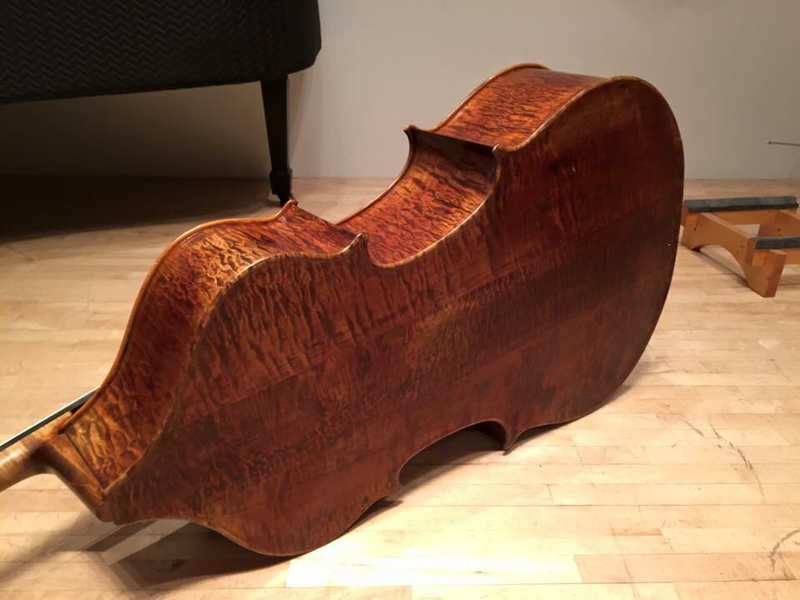 The inspiration for this bass was built in Venice by Domenico Montagnana, perhaps the greatest maker of basses and cellos of all time. 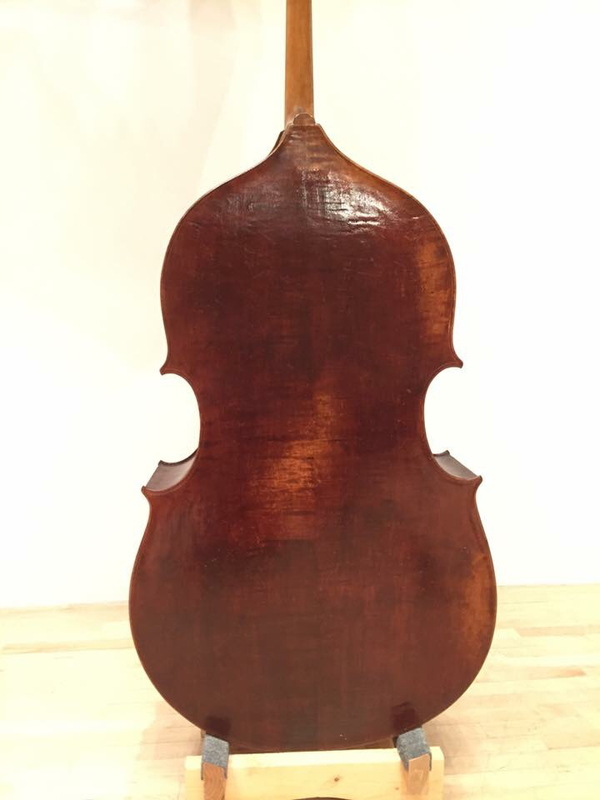 It is exceptional in modeling, workmanship, tone and varnish, and is in the most pure state of preservation known--a true masterpiece. 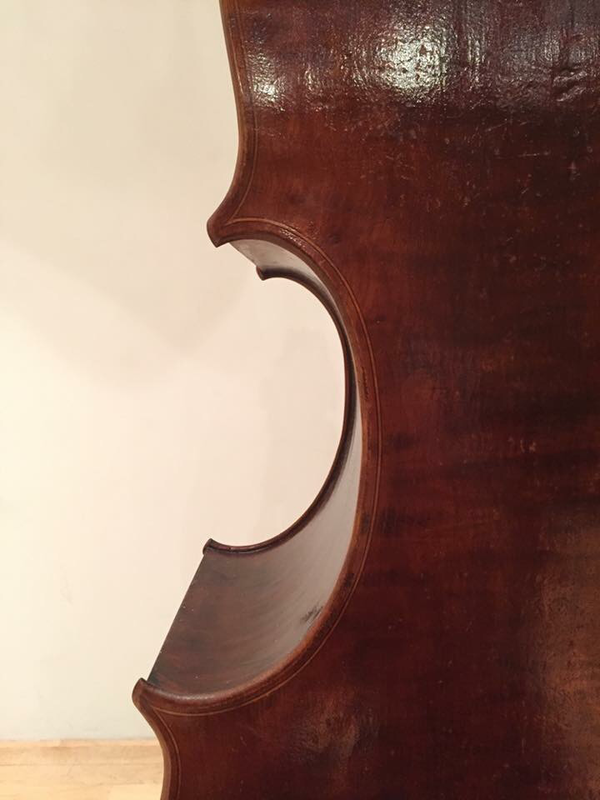 Careful study, observation and playing of the original instrument for half a year informed every decision in the design and making process of this faithful copy, and every aspect of the original has been incorporated. 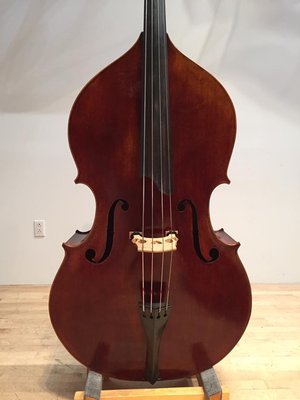 A true orchestral bass, the tone is round and pure, dynamic and booming, capable of being driven to the very highest threshold of technique.